On April 27th, CASPR published an article outlining the possible outcomes with respect to tax reform under President Trump. We used the above chart to portray our view of the future and illustrate the perceived uncertainty surrounding Trump’s ambitious objectives. Following the recent defeat of the “skinny repeal” of the Affordable Care Act in the Senate, our belief in the ability of this administration to achieve its rate targets has subsided even further. Senate Democrats have built on the momentum from last week’s events to establish clear guidelines for a potential tax reform bill. In an August 1st letter to President Trump and GOP leaders, top Democrats expressed that “they will not support any tax plan that includes tax cuts for the top 1 percent,” or “support any effort to pass deficit-financed tax cuts which would endanger critical programs like Medicare, Social Security and other public investments.” These deal breakers clash with the White House plan that would reduce the top income tax rate from 39.6% to 35% and eliminate the inheritance tax. And considering the fact that any cuts must be initially deficit-financed, options available to GOP lawmakers are limited. Senate rules stipulate that tax legislation may not increase the deficit unless the Republicans can muster 60 votes. Aside from partisan pushback, Trump faces continued apprehension from his own camp. According to reports, House Speaker Paul Ryan has been telling colleagues that the White House plan to cut the corporate tax rate to 15% from its current rate of 35% is not practicable. Ryan, a notorious deficit-hawk, is concerned that the resulting economic stimulus would not adequately absorb the losses in revenue. Some of his fellow “big six” members, who have been meeting weekly to discuss tax code reform, have echoed his sentiments. Orrin Hatch admitted that compromise will likely be needed to achieve progress, and stated that President Trump has probably tempered his expectations of a 15% tax rate. And yet, Trump continues to reiterate his desire for the corporate rate cut to 15%, citing the middle class as the biggest benefiters through job growth and wage increases. If, and how, successful he’ll be at achieving his goals is the key question. From CASPR’s perspective, we continue to appreciate the certainty of Puerto Rico’s incentive programs. Since inception, Acts 20 & 22 have benefitted from bipartisan support in Puerto Rico’s Congress. The Puerto Rican Oversight, Management and Economic Stability Act (PROMESA) board also understands how important these incentives are for future growth on the island. The growth of the Act 20 and Act 22 community will continue at an exponential rate as Puerto Rico has repeatedly demonstrated its commitment to a pro-business economy. While the initial motivation for movers is a reduced tax rate, once Act 20 and Act 22 decree holders step foot on the island they understand why it’s an ideal place to live and conduct business. Ideas for new business ventures, partnerships, and investment opportunities abound. 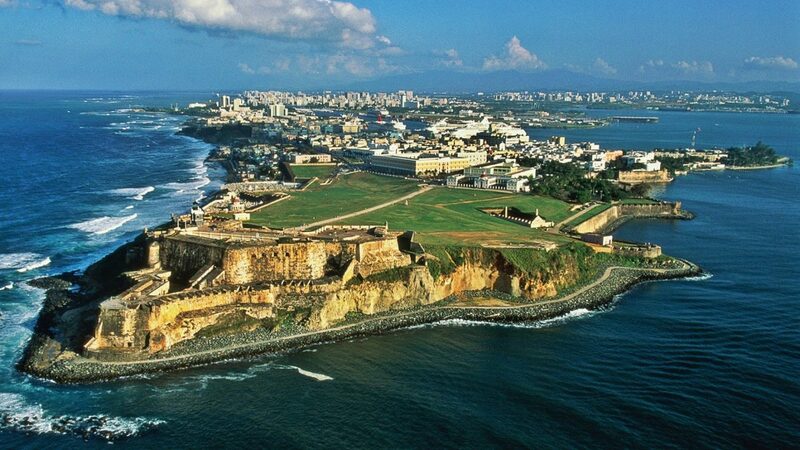 With its proximity to the mainland, no “exit-tax” and the American flag in the courtroom – Puerto Rico makes an irresistible pitch.